My apologies for the extended absence! We’ve been traveling a lot this summer and it’s been so stinkin hot I’ve been too worn out to write during my free time. I’ve also been experimenting with a loose version of the Whole 30 Program, whose meals are time-consuming enough without photographing and documenting the process. Not to mention I’ve felt low-energy while adjusting to the lack of carbs, dairy, and my beloved wine. I am making a mostly “Whole 30 compliant” meal tonight, though, and may post about that one if it turns out as delicious as it sounds. Most of the meals I’ve made have actually been pretty tasty. Anyway, on to the cheese! For those of you who are new to the blog, my cousin-in-law, Kim, brother-in-law, Matthew and I started a cheese club a while back where we go through the alphabet and try cheeses starting with each of the letters, in order. We also have assorted groupies (AKA family members) who tag along in our cheesepeditions. I post our interpretations of the cheese smells and tastes, then the “real” definition from cheese.com. We skipped “I” this time because we couldn’t find an “I” cheese, although I do know of one (ibierco) and we hope to find some for our next meeting of the cheese heads. Tasted like a mild Swiss. Kind of dry. Like Swiss, but better. 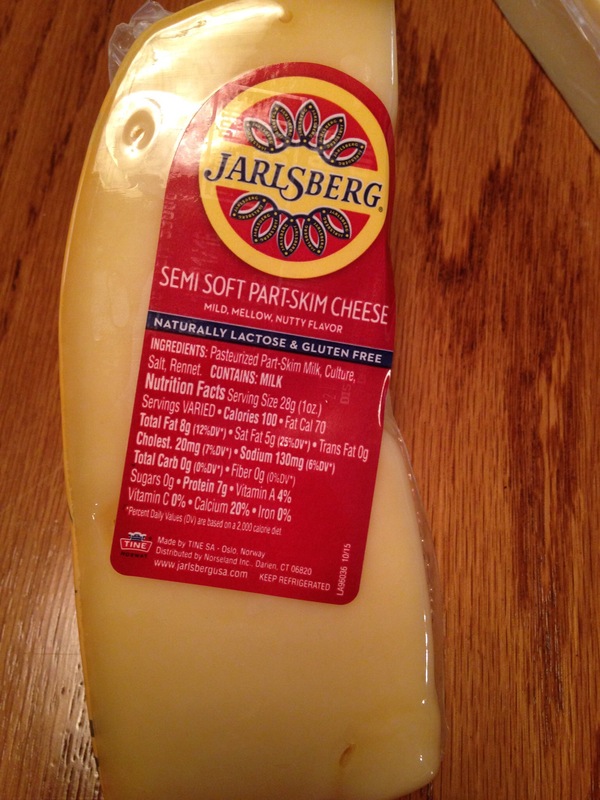 Jarlsberg is a mild, semi-soft cow’s milk cheese of Norwegian origin. Created by Anders Larsen Bakke, it resembles a Swiss Emmental with distinctive, open and irregular ‘eyes’. Many a times Jarlsberg is marketed as a Swiss cheese because of its characteristics, though it tends to be sweeter and stronger than Emmentaler. Beneath the yellow-wax rind of Jarlsberg is a semi-firm yellow interior that is buttery, rich in texture with a mild, nutty flavour. It is an all-purpose cheese, good for cooking as well eating as a snack. Since the cheese melts so well, Jarlsberg tastes delicious on sandwiches, fondues, quiches and on hot dishes. The versatility of the cheese is appreciated well beyond the Scandinavian world in US, UK and Europe. Tasted better than it smelled. Creamy. Reminiscent of a sharp cheddar or Havarti. Kasseri is a traditional, Greek-Turkish cheese made from unpasteurised sheep milk with no more than 20% goat’s milk mixed in. It is a springy-textured, white crust, stringy cheese belonging to the pasta filata family like Provolone or Muenster. To obtain the correct texture and flavour, the cheese needs to be matured for a minimum of four months. It is used as a substitute to the famous mozzarella by many American consumers. The cheese also competes against another famous Greek cheese; Feta. 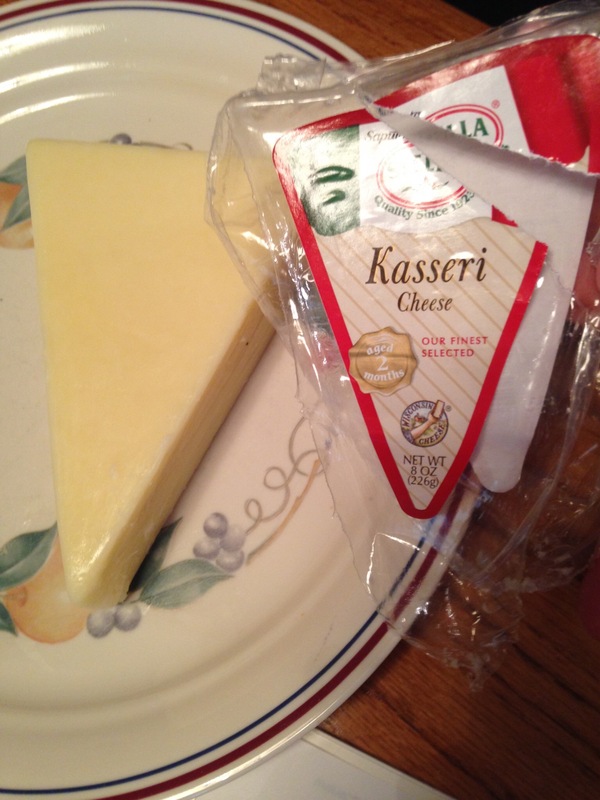 Kasseri is preferred by connoisseurs who like full flavoured cheeses. A bite of Kasseri will enrich your palate with exciting salty flavours and pungent odor. But interestingly, it soon leaves behind a sweet aftertaste. This is because of the high use of sheep’s milk. Pale yellow in colour, Kasseri’s mild, palatable, buttery taste makes it an excellent table cheese. It contains a fat content of anywhere between 25% – 45%. When served at room temperature, it can be paired with omelets, sandwiches or used as a pastry cheese. So, I think a little background is called for here. Members of Cheese Club were highly skeptical about trying this cheese. I was secretly hoping we would have to even though I didn’t want to because it felt like a very “cheese clubby” thing to do. Plus, it’s obviously a well-known cheese and I was curious what all the hype was about. I’ve even had one person tell me they actually enjoy it and eat it with their German grandmother-in-law. 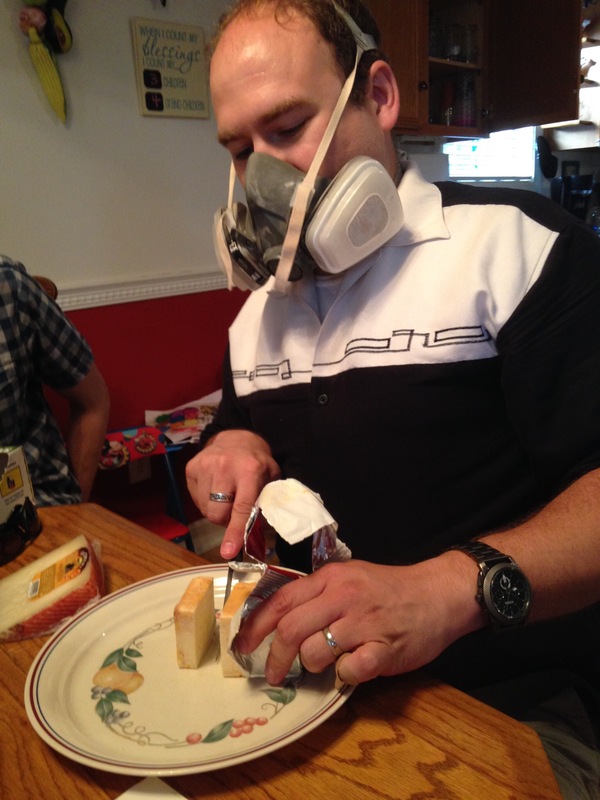 Pictured is my brother-in-law cutting the cheese (heehee). 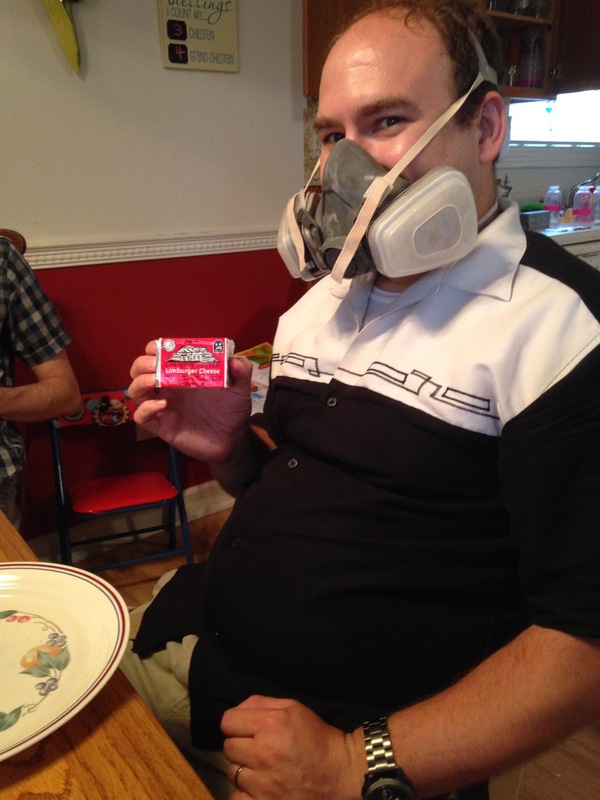 If you’re thinking the gas mask is bit much, you’ve clearly never smelled Limburger cheese before. Limburger is a semi-soft, washed rind cheese that originated in the historical Duchy of Limburg, now divided among three countries; Germany, Belgium and Netherlands. The cheese is popularly known for its stinky aroma which has been compared to foot odor. Today, most of the cheese is exclusively made in Germany, making them the sole producers in Europe. Artisanal cheese makers prepare this cheese from pasteurised cow’s milk sourced from local, organic farms. As a result, the flavour of the cheese is mild despite the stinky aroma. The exterior of the cheese is covered with a thin pale, orange-brown rind, an effect of regular washings. In the initial month of ripening, Limburger is firmer and more crumbly, but starts to become chalky and soft at the end of six weeks. After two months, the cheese is much smoother and creamy. 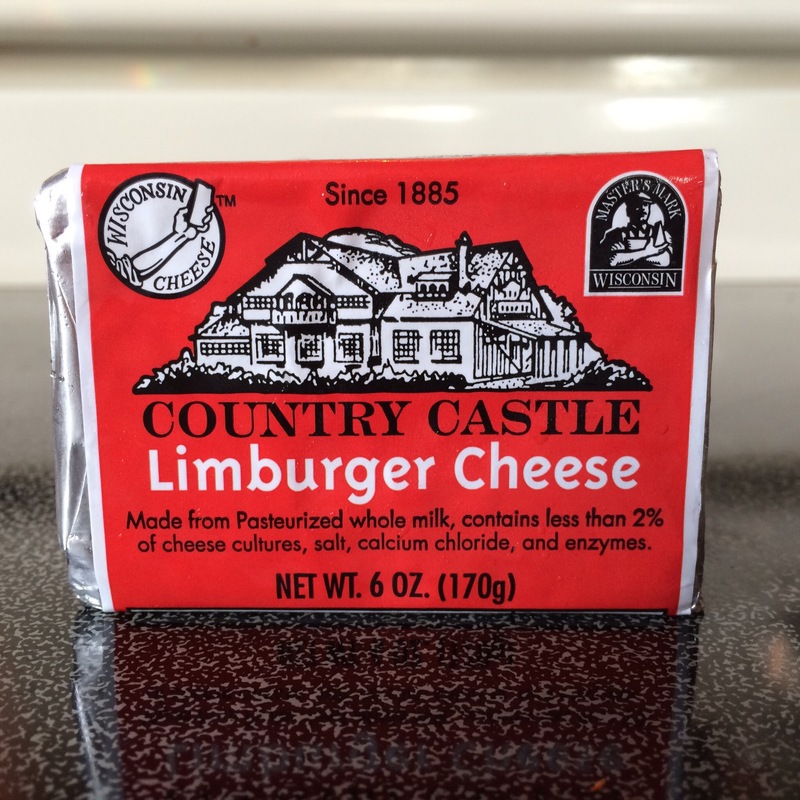 At three months, Limburger finally acquires the infamous aroma due to smear-ripening with solutions of bacteria. The interior is a soft and yielding, straw-coloured pate that becomes runnier with age. This cheese has a significant grassy and mushroomy taste underlined by delicate tang at the end. Limburger goes well with Belgian style ales and icy cold bock beer. It tastes best when it is served between two slices of dark rye bread along with a slice of onion. As you can see, our interpretation varied immensely from the one given on cheese.com. Smelled like a sharp cheddar. Pasty, chalky texture. Dry. Would be good melted with salsa. This was my favorite of the bunch this time. I believe we had the “viejo” variety. 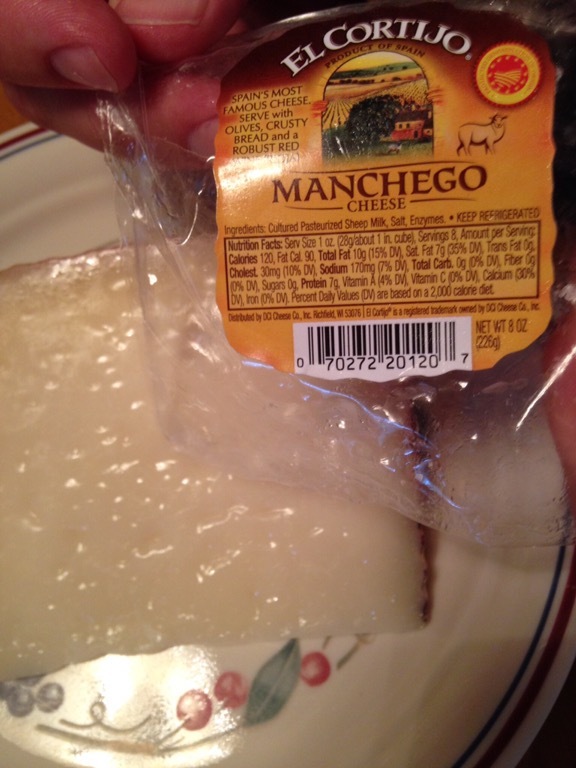 The Manchego is produced in the La Mancha region of Spain, which is also home to Don Quixote. It is made from unpasteurised sheep’s milk. It is one of the popular cheeses from Spain, made from sheep’s milk. It also comes under the PDO guidelines. The traditional use of grass moulds leaves a distinctive, characteristic zigzag pattern on the Manchego cheese. Authentic Manchego is only made from the Manchego sheep’s milk. Manchego cheese is made from both pasteurised and unpasteurised milk. The farmhouse version is produced from unpasteurised milk while the industrial version is produced from pasteurised milk. The rind is inedible with a distinctive, traditional herringbone basket weave pattern, pressed on it. A typical ear wheat pattern is pressed onto the top and bottom wheels of the cheese. There are specific differences in Manchego cheeses, depending on their aging period. Semi Curado – Young Manchego cheese is aged around 3 months are supple and moist. The flavour is fruity, grass, hay with a tangy note. Curado – Manchego cheese aged for 6 months acquires a caramel and nutty flavour. It has distinct acidity. Viejo – Manchego cheese aged for a year becomes crumbly in texture while the interior of the cheese acquires a butterscotch colour. It has a sweet, lingering taste. Manchego cheeses are best paired with a sherry. Cheeses similar to Manchego are called ‘Machego like cheeses’, but the producers cannot legally name the cheese as Manchego. This celebrated cheese has won gold and silver award at the 2014 World Cheese Awards. Until next time, cheese lovers! To quote Kipling ” You’re a better man than I am Gunga Din.” I smelled it once! For your next gastronomic adventure I recommend Durian, it smells worse. Something worse than Limburger? No thanks! I was pleasantly surprised by how much I looked the meals I made during Whole 30, although I recommend asking the homemade ketchup unless really desperate, hopefully you like mustard. I actually love mustard! I also much prefer homemade mayo/aioli, especially with sweet potato fries! That’s GTK about the ketchup though- I hadn’t tried it but considered it.